Starbound Sells Enough to Buy a Real Spaceship. Maybe. With its roots in the underrated Rubik’s Cube tie-ins of yore, and gameplay that is pitched in the same kind of ballpark as Chu Chu Rocket or Panel De Pon, Two Tribes’ RUSH is yet another very welcome puzzler for the Wii U, hot on the heels of the superb EDGE. 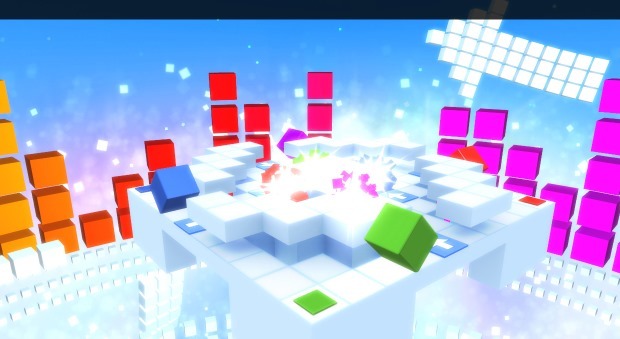 Played solely on the GamePad, RUSH involves guiding a variety of different coloured cubes around multi-tiered 3D levels toward their respective colour coordinated goal. 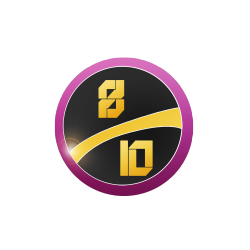 You achieve this aim by placing down tiles that affect the trajectory or behaviour of the moving blocks around the course. At the start of each outing you have a pre-determined number of tiles to place down. You know that you have to use them all to beat the level, but it is up to you to work out where they go. Once you have decided where you would like to lay your stock of tiles you can set the blocks in motion and watch as they either move gracefully toward their intended goal or end up smashing into each other or careering over the side of the stage. Initially things are very simple as you are held by the hand through tutorial-style levels that show you how things work. Early doors you may just be placing a simple arrow tile or two to send a block directly to its goal. The use of your environment is also taken into consideration early on, as you learn how a block will change direction when it hits a wall. As you grasp the basics, RUSH introduces many devious new mechanics which ramp up the difficulty quite considerably. 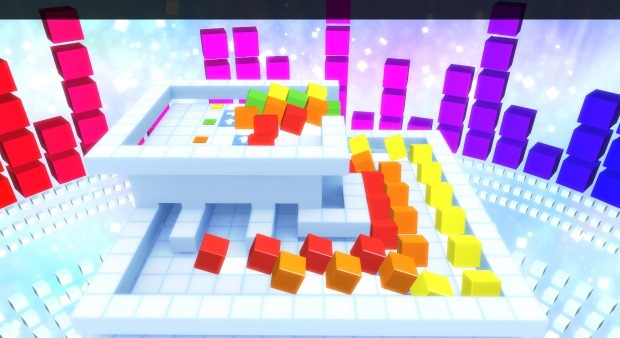 Several different coloured blocks start to appear, sometimes in streams, popping up one after another. It doesn’t matter a jot how they appear and in which order, the game still requires that each block finds its home in the properly coloured goal, and that blocks don’t end up crashing into each other or disappearing into the abyss. Gradually the 3D structures become more of a factor, and crazy new tile types are thrown into play, such as a slab that will split a block into two separate entities. Some of the later levels become extraordinarily complex, expanding not only the different obstacles and mechanics you have to contend with but also the overall size of the playing area. You find yourself increasing use of the stylus to rotate the camera and view the structures of each stage, and will often have to experiment with myriad different tile combinations before you work out the right one. A hint system is in place, and can be employed to tell you when a tile placement is incorrect. In a world where just one dud tile is liable to ruin your dreams of perfectly-flowing block nirvana, the hints are certainly very useful. Your view of this system will depend on your own gaming morals and willpower. Using a hint will not penalise you in any way and still allow you to progress to the next stage. If you are used to losing points when taking a hint (like giving up Picarats in Professor Layton) this system could leave you with a bit of an empty feeling. Nobody expects a game of this pace to include the kind of score-attack excellence included in EDGE, but some way of acknowledging proper puzzle endeavour as opposed to simply using the hint function would have been a nice touch. VERDICT: It is difficult to criticise a game, however, when it delivers a shedload of genuinely taxing levels at such a great value price point. It looks terrific, with sharp, bright environments that make plotting the trajectory of your cube easy on the eye. The GamePad is the ideal home for RUSH, with the stylus providing responsive touch screen controls and the ability to puzzle away whilst the telly is used for other means. Most importantly, the gameplay is very rewarding. Seeing everything go according to plan, like a perfectly set-up row of dominoes falling just-so is tremendously satisfying stuff. It is another fine effort from Two Tribes, who seem to have carved themselves out a nice little niche delivering quality puzzle fare to the Nintendo masses.